Best known for composing the Super Mario Galaxy titles, Mahito Yokota has served as the sound director on a range of titles for KOEI and Nintendo. Having played the piano from an early age, Yokota went on to receive training in composition and orchestration. He was also a passionate gamer, having played all Super Mario and The Legend of Zelda titles, among others, since the days of the NES. After graduating university and getting married, he decided to become a video game composer. In 1998, he successfully applied for a position in the sound team of KOEI, already reputed for their orchestral scores for grand strategy games such as Nobunaga’s Ambition and Romance of the Three Kingdoms. During his initial years at the company, Yokota explored the creative and technical aspects of sound creation for video games by designing sound effects for Saiyuki: Journey West and composing music for Sangokushi Sousouden. For the latter, Yokota drew on the rich history of the Three Kingdoms Era and the characterisation of protagonist Cao Cao to offer an emotional score. While entirely synthesized, the music exhibited strong symphonic leanings and a cinematic flow. Having impressed superiors on his debut titles, Yokota was appointed as sound director for 2000’s Kessen. Since the game was being produced for the PlayStation 2’s launch, the team wanted to push a number of boundaries, including in the audio department. Yokota elected to hire veteran film composer Reijiro Koroku to write the score and recorded the final result with the Moscow International Symphonic Orchestra. Involved with the production from beginning to end, the artist also assisted with its sound editing and localisation. The final result was one of the most lavishly produced console scores to emerge from Japan at that time. Following this success, he returned as sound director for its sequel the following year, building on the solid basis of the original. He was thereafter appointed as sound director for 2002’s Dynasty Tactics and 2003’s Crimson Sea, two other console titles that proved ambitious and successful in the audio department; in each case, he carefully coordinated between external composers and internal sound designers to develop a cohesive sound for the game. Under the lead of Masayoshi “MASA” Sasaki, he also made guest contributions to Dynasty Warriors 4, blending worldly influences with rock stylings. Having clearly demonstrated his knowledge of all aspects of sound creation, Mahito Yokota was recruited as the sound director to Nintendo EAD Tokyo in 2003. The first Tokyo-based studio from the developers of Mario and Zelda, Yokota and others at the team were placed in charge of creating new games based on iconic franchises such as Donkey Kong and Mario. During his first year at the studio, he wrote all the music for the GameCube’s Donkey Kong: Jungle Beat. The light-hearted mood and fast-paced gameplay of the title considerably differed from the more serious war titles of KOEI. But having enjoyed Nintendo games since his youth, Yokota knew exactly how to his approach the project. The final result was a colourful score filled with memorable rhythms and propulsive rhythms. While the majority of the soundtrack featured all-new music, he nevertheless paid tribute to the series’ roots. Given his previous experiences working with orchestra, Yokota was subsequently asked to write a symphonic piece to accompany the gloriously received E3 2005 trailer for The Legend of Zelda: Twilight Princess on behalf of Koji Kondo; performed by full orchestra, the piece blended dark cinematic underscore with hopeful moments quoting the series’ main theme. Yokota came to mainstream attention after he wrote the vast majority of the soundtrack for the Wii’s Super Mario Galaxy. 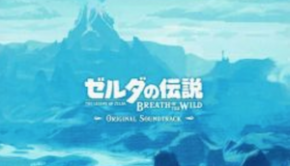 Yokota found the project daunting and initially struggled to find a desirable direction; he initially tried to imitate the series’ previous Latin-influenced scores, but his efforts were dismissed by Koji Kondo for sounding “cute rather than cool”. While Yokota considered quitting his job, he eventually arrived at a new direction for the series: an orchestral score fitting Mario’s first venture into space. His prototype pieces won the approval of Kondo and he even persuaded Shigeru Miyamoto to give him a recording budget. The artist took charge of writing, orchestrating, and recording 28 pieces with a 50-piece orchestra. Taking care to maximise the interactivity of the game, Yokota persevered with programmer Masafumi Kawamura to synchronise the game’s sound effects with the streamed music and asked the orchestra to play at various tempos to reflect Mario’s pace. A significant amount of sequenced music was also created and some tracks integrated past series’ favourites. The music was celebrated with stand-alone soundtrack releases and has featured in symphonic concerts across the world. Thanks to the overwhelming success of Super Mario Galaxy’s score, Yokota’s talents as an orchestral musician were requested on other projects. As the development of Wii Music geared up, he joined the music team; he carefully considered the gameplay while adapting tracks for the project. He inevitably returned to create the score for 2010’s Super Mario Galaxy 2 after a previously planned expansion was transformed into a fully-fledged sequel. Feeling more confident after the success of the original, Yokota aimed to produce an even bigger and better orchestral score that captured the “the fun of adventuring through the cosmos”. During recording sessions attended by the entire development team, a sixty member orchestra and chorus conducted by Taizo Takemoto performed the tracks. The artist also diversified the soundtrack with big band pieces and other experiments, while taking measures to reduced disc loading time. Yokota felt satisfied with the final results and felt that he finally understood, deep inside, just what was important in Mario music. Once again, the game received considerable critical acclaim and popular praise. Following these roles, Yokota was asked to participate in two projects for Zelda series. 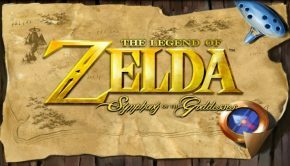 Having long-admired the soundtrack for the original, he was selected to handle the music of The Legend of Zelda: Ocarina of Time 3D. While he initially elected to arrange the music, he was eventually told to take a more orthodox approach by Koji Kondo; there were many challenges of preserving the sounds of the original on a handheld, but he persevered to offer tracks that matched, and sometimes exceeded, the quality of the originals. 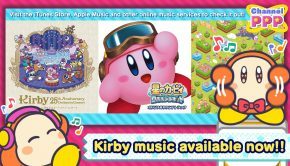 The artist also produced a brand new orchestration for the end credits, mixing the main themes for the game and the entire series. Yokota simultaneously worked on the soundtrack for The Legend of Zelda: Skyward Sword after Shigeru Miyamoto finally agreed to include orchestral music in the title. He was placed in charge of writing music for the game’s cinematic scenes, which spanned some 120 minutes altogether; once again, he intensely studied the in-game scenes to offer fitting, emotional, and sophisticated music. Given his experience on the Super Mario Galaxy titles, he also lent his expertise throughout the recording process. Between his work on the Zelda franchise, Yokota has worked on several new Mario projects. 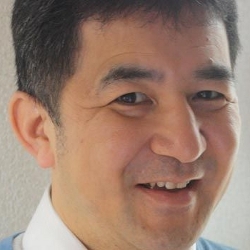 Due to his commitments on other projects, he was unable to make a large compositional contribution to Super Mario 3D Land; however, he was extensively involved in determining the direction of the score and advised Nintendo EAD Tokyo newcomer Takeshi Hama throughout. Last year, he worked alongside Shiho Fujii on the soundtrack for New Super Mario Bros. U. 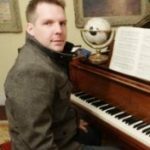 Throughout the project, he aimed to raise the bar for the series by blending styles and sounds reminiscent of the series’ roots with high-quality instrument leads and even a few orchestrations. The score was suitably modest compared to his Super Mario Galaxy outings, serving to capture the fun of retro-inspired platforming rather than propel Mario into a galactic adventure. The artist also recently performed jazz covers of Mario, Zelda, and Donkey Kong favourites with a band at Nintendo World 2011. 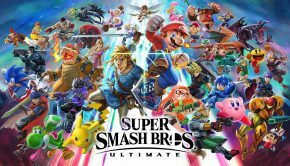 Having produced several of the best-received soundtracks of the last generation, it is anticipated that he will take central roles on the next 3D outings of Link and Mario on the Wii U. © Biography by Chris Greening (September 2007). Last updated on April 2, 2013. Do not republish without formal permission. Posted on April 2, 2013 by Chris Greening. Last modified on March 21, 2014.